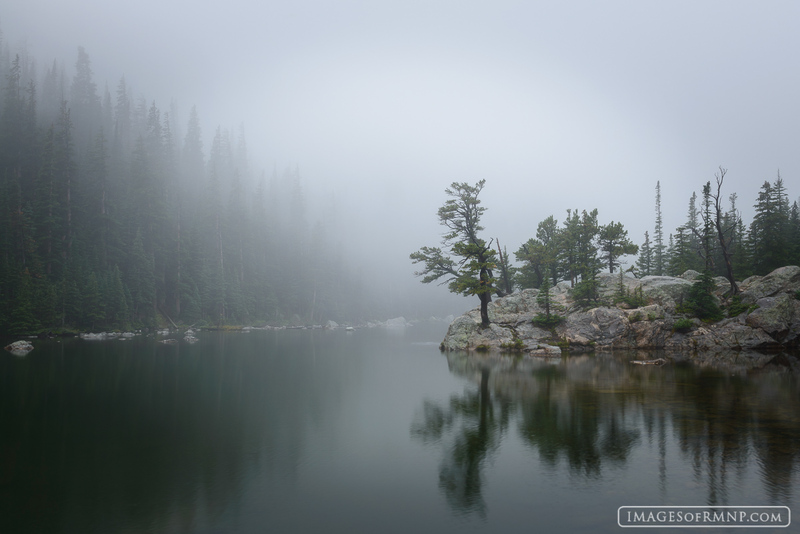 Dream Lake is known for its breathtaking views of high jagged peaks, but on this day a storm had settled over the park and a gentle rain was falling. With the low clouds it felt very much like walking through a dream. Little did I know when taking this photo that this storm would grow overnight to become the storm of the century. In spite of this, I will forever treasure the peace of this moment. Photo © copyright by Erik Stensland.